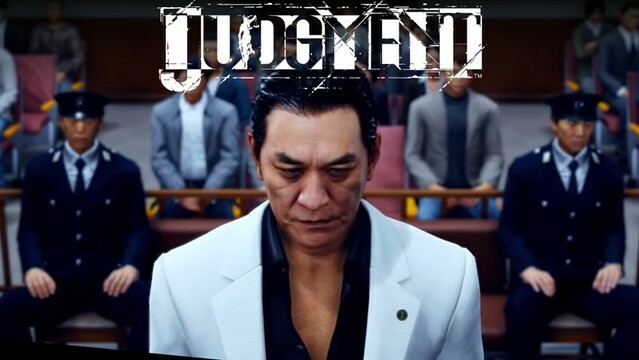 Sega has exhausted almost 97 per cent of its stock of Judgment, the Yakuza spin-off that was withdrawn from sale earlier this month after one of its performers was arrested on alleged drug charges. The company called the event “highly regrettable” and said it had seen arrest reports on Pierre Taki, who plays Yakuza Kyohei Hamura. Given Taki reportedly admitted using cocaine, the publisher then decided to withdraw the game from sale both physically and digitally as it considered how best to proceed. It remains unclear how long Sega plans to withdraw the game for, or how it might affect the game’s intended worldwide release later this year. Sega had been hoping Judgment would help reverse its fortunes following a year-over-year profits drop of 62 per cent. In its financial reporting on the first half of the fiscal year, Sega saw consolidated net sales fall by 12 per cent year-over-year (YoY) to ¥171 billion ($1.5 billion), and its overall profits drop 62 per cent to ¥6.7 billion ($59 million). I want this on PC. Im obsessed with the Yakuza games. That is... a very strange decision. It seems like an overly image-sensitive move by Sega; they could easily have separated the actor with the work he did in the game. He's an actor, after all and his personal habits have nothing to do with the game they coded (except for living the role a bit too frivolously, it would appear). If you consider games as art, this was a cowardly and shameful decision by Sega. If you consider games as product, then this is an excellent (unintentional) use of the Streisand Effect to boost sales on a product with poor sales. They might have made more by doing this and could come away looking like the good guys by re-releasing if handled right. Is it available in north america? It's coming west later this year, if everything goes as planned. ...if everything goes as planned. The best laid schemes o' mice an' men gang aft agley.